Happy February! 2019 is rolling right along and if January was any indication, this is going to be a great year! 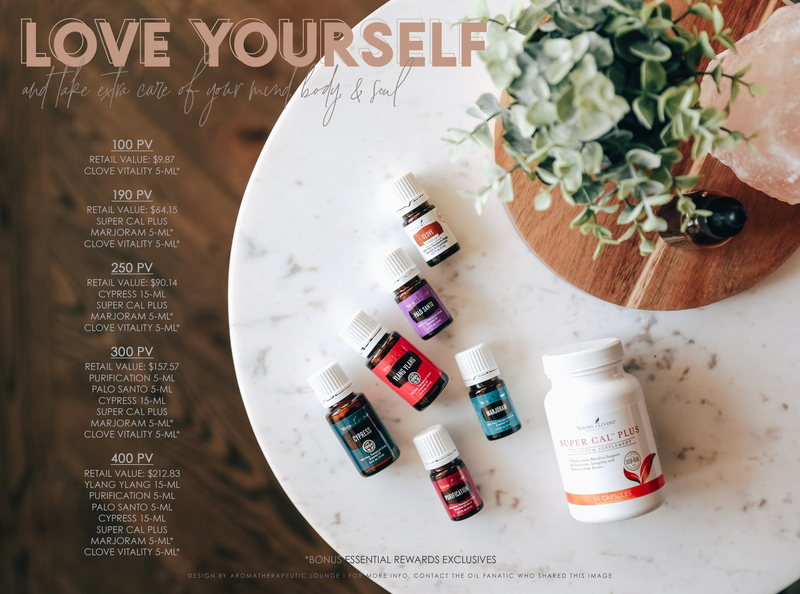 So many exciting things happened in January with Young Living, and I’m going to tell you all about them, but first, let’s take a look at what February has in store for us. *Remember, in order to get the Essential Rewards Exclusive Clove Vitality 5-ml and the Essential Rewards Exclusive Marjoram 5-ml, you have to be enrolled in Essential Rewards (ER) and have an order that meets the PV requirements for those items. The extra bonus of meeting these PV amounts with your ER order is that you get even more ER points to spend later! Let’s jump straight to that 400 PV tier, because of Ylang Ylang! Along with its ability to calm and relax the mind, Ylang Ylang is great for skin, and its floral aroma can be worn as a perfume or to help get you and your partner in the mood. Plus, it’s been out of stock for a while, so a free 15-ml is a major bonus! Going all the way back to Clove Vitality – did you know that Clove has been used in different cultures as an aphrodisiac? That’s just one of its many uses, including overall wellness and using it in some delicious baking recipes! Marjoram and Palo Santo can be added to a carrier oil to create a relaxing, rejuvenating massage for tired muscles. Plus, Palo Santo is a very calming oil, great as part of a comforting diffuser blend. Purification will help you get that laundry smelling fresh and clean and can help purify the air when diffused – it pairs really well with Lemon or Lime, and you might even try a drop of Palo Santo with it. Cypress is another amazing oil for helping your mind and body calm and find their center and promotes emotional balance (it’s one of the oils in Release). Plus, taking care of your body is a great way to show yourself some love, and supporting the very structure of your body with Super Cal Plus is a great way to ensure that you’re around and healthy for years to come. More than just a calcium supplement, Super Cal Plus also has trace minerals and other ingredients, including a unique blend of essential oils that supports the integrity and density of bones and teeth, so you’ll stay healthy and smiling! Plus, check out what Young Living says about Super Cal Plus: “A daily recommended dose of calcium and Vitamin D throughout life, as part of a well-balanced diet, may reduce the risk of osteoporosis.” This is something we all need in our lives. 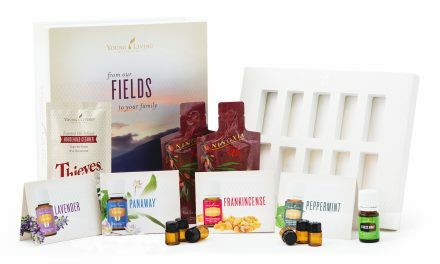 Those promos are incredible, but did you hear any of the exciting news from Young Living in January? One of the biggest things is that the Premium Starter Kit got an overhaul! 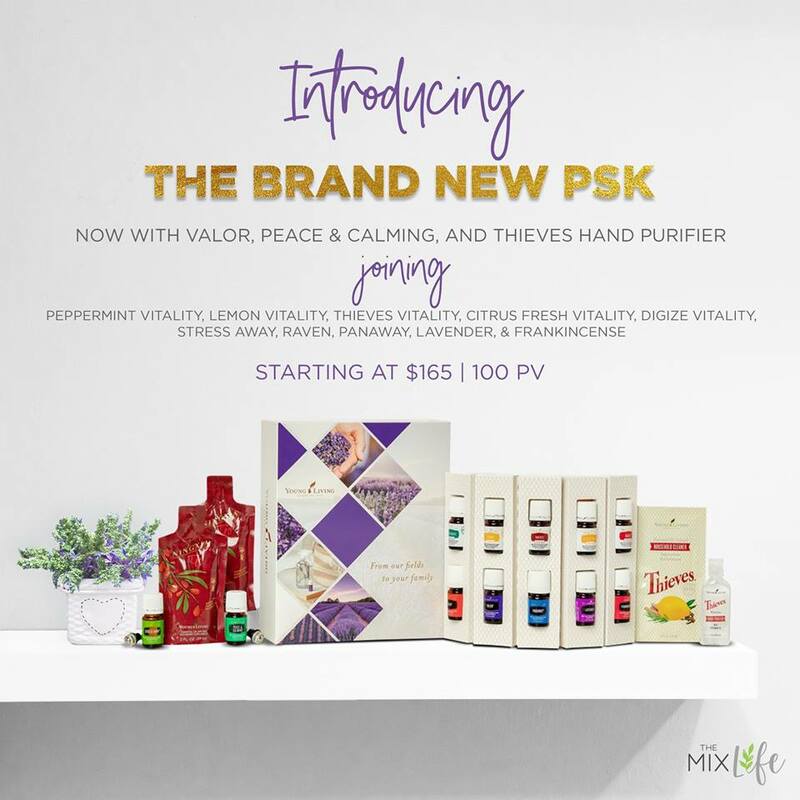 Two of Young Living’s most popular oils, Peace & Calming and Valor, are now part of the Premium Starter Kit! Along with a few other little goodies, Citrus Fresh also changed to Citrus Fresh Vitality. With only a price increase of $5, the Premium Starter Kit is an even bigger value with 12 oils, your choice of diffuser, and all the goodness that comes with the kit. “Two of our most popular diffusers are getting exciting upgrades! 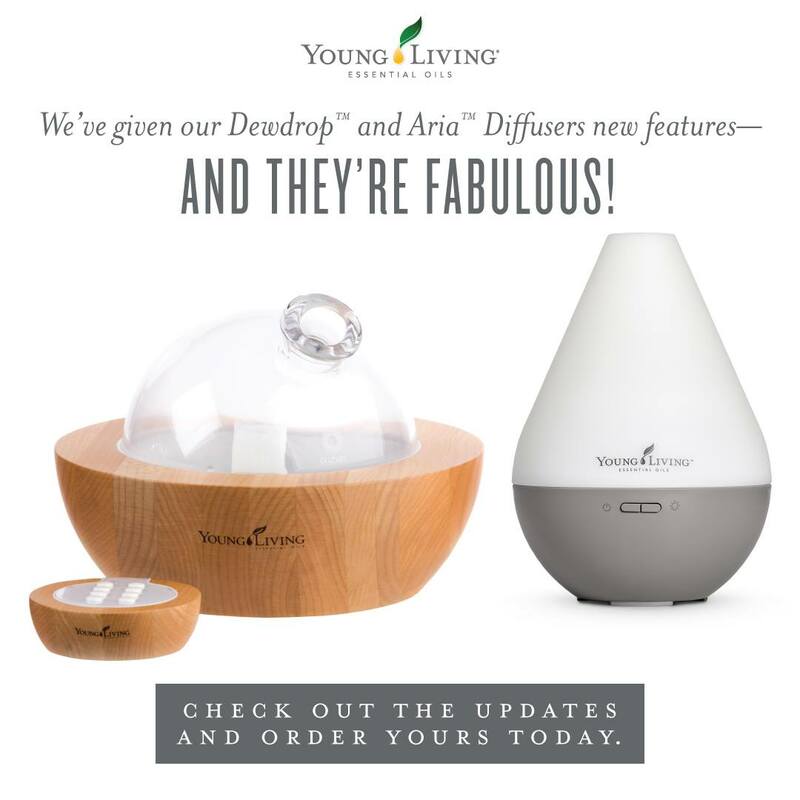 We’re excited for you to fall in love with the new features of the updated Dewdrop Diffuser and the show-stopping Aria. The updated Dewdrop has two buttons to separately control the power and light settings—and there are even more light modes to choose from. You now have 11 LED colored light options, including a candle-like flicker mode. Mix and match your favorite essential oils and lighting settings. The ambiance possibilities are endless! Speaking of ambiance, you can diffuse your favorite scents for up to 10 hours now that we’ve added longer run times to the Dewdrop. Your choices include 5- and 8-hour timers plus a 10-hour timer with an intermittent mode. All those features are packaged in the Dewdrop’s original design, but with an updated slate gray base. It’s fresh, fabulous, and oh so fun! You love controlling your diffuser with a remote, but what happens when your remote goes MIA? We’ve fixed this frustration by adding an on/off button to the bottom of the diffuser, so you can keep calm and carry on. Our updated Aria has longer run times with 2- and 6-hour timers. You can even set your diffuser to run for up to 12 hours with the new intermittent mode. Rest assured, you can still find your favorite features like LED lights, matching wood remote control, and built-in speakers with an audio cable that allow you to listen to your own music. As if all of that wasn’t exciting enough news, Roman Chamomile is back in stock!! This has been out of stock for 2 years and it is one truly amazing oil. It’s calming, relaxing, great for skin, and can be a great addition to a nighttime diffuser blend or roll-on. 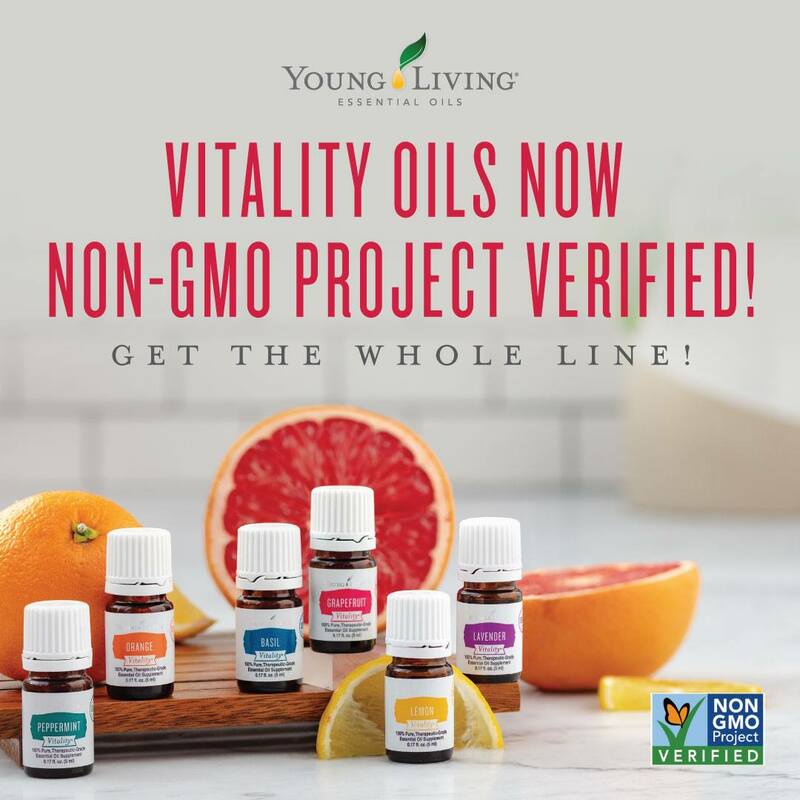 This is a “while supplies last” oil, but Young Living is giving us all the chance to get 3 bottles per month on Quick Orders until it’s gone! 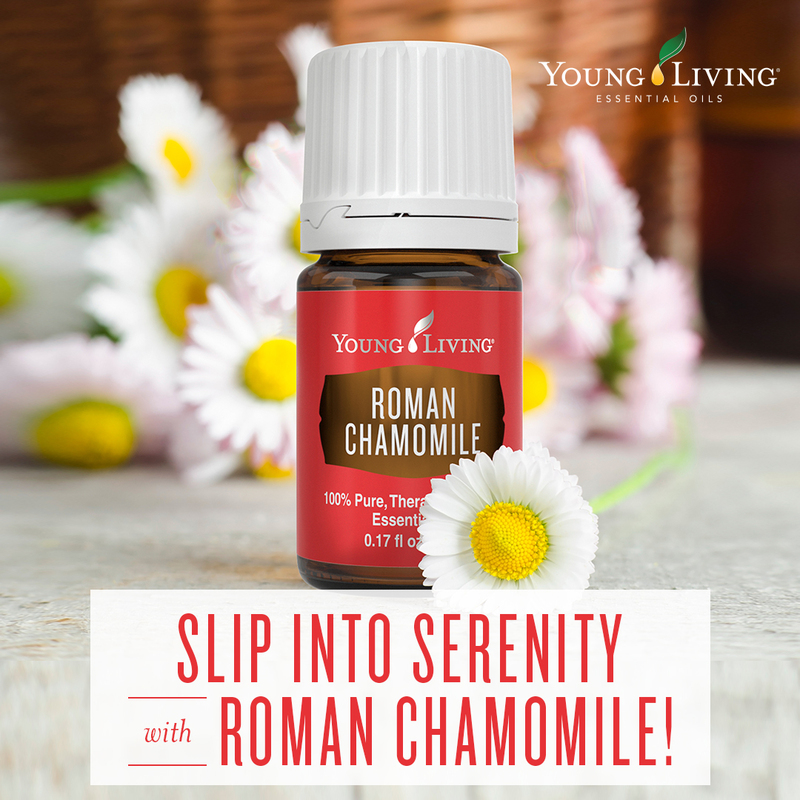 Trust me, you’re going to want all 3 bottles because you’re about to fall in love with Roman Chamomile. Here’s the ordering information, but I’m also happy to help if you’re wanting to order some for yourself! 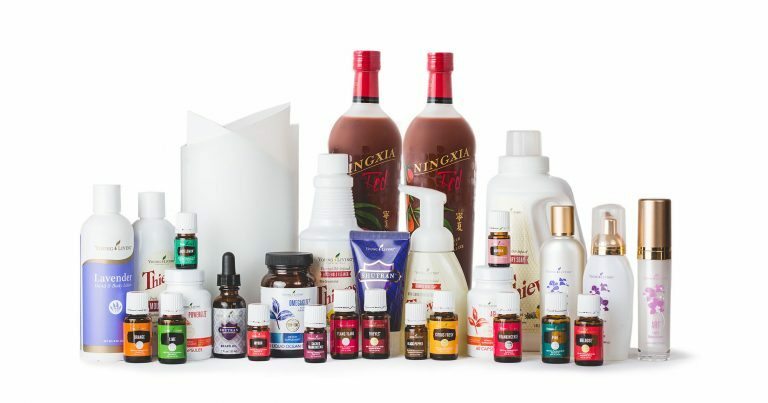 With everything that’s already happened with Young Living this year and how incredible February’s promos are, I can’t wait to see what the rest of this year has in store! As always, if you need any help with anything, let me know. I hope you have a wonderful February!